Provide pulverization skill for ultra fine particle talc. 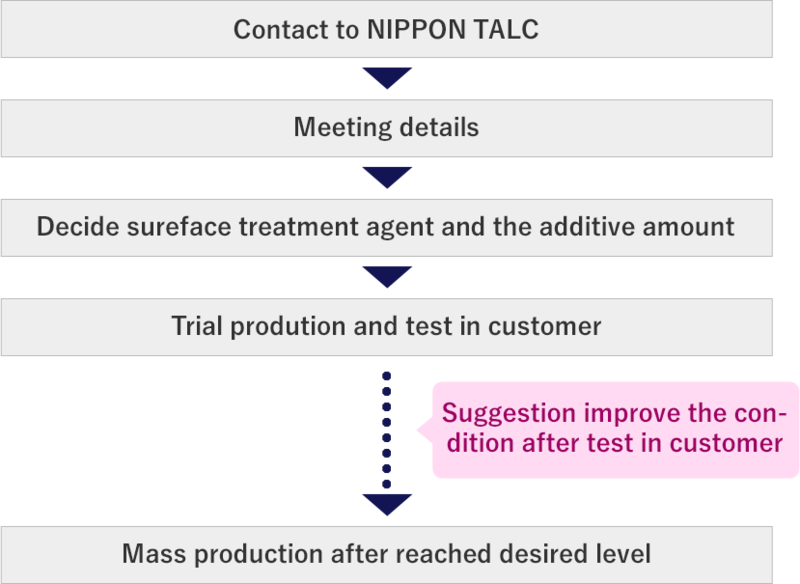 NIPPON TALC have developed talc for long years. 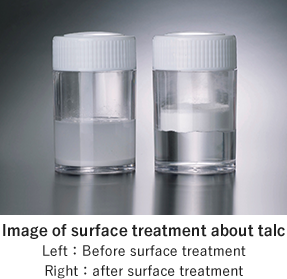 Finally, we suceeded to develop sub-micron talc. 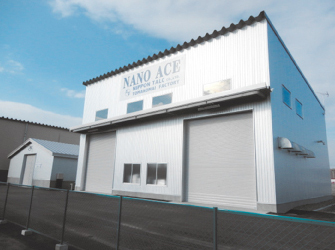 It is used for cutting-edge electronic material field. We suggest pulverization skill for ultra fine particle talc as contract process. We can pulverize customer product to around sub-micron in clean building. We take care conatmination in any process. We can analyze customer products propety by advanced analytical equipment. For example, particle size distribution by laser diffraction particle size analyzer from shimadzu. Support for developing high value added powder product by surface treatment. Our talc products are uesd for plastic filler and cosmetic ingredient. In these apllication, we process variety of surface treatment. For examples for improving affinity for palstic, to add water-repellent property. We can treat customer powder products by expert surface treatment skills. We can use variety of surface treatment agent as customer request.